Brick Wall #2 – Last Orders! The Club will shortly be placing the order for the bricks for our new brick wall. There is still a opportunity to place an order. Do you want to celebrate your support / loyalty for the Club with a brick in your name. Or do you want to purchase a brick in memory of a work colleague, friend or loved one. 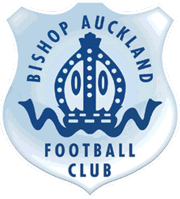 To order online go to http://bishopafc.com/shop/ or you can pay by credit/debit card/cash at tonight’s (24th January) game at Heritage Park.